My music’s on the One Show.. BBC1! So, apart from composing for various productions this year, I’ve also been composing for a brand spanking new Music Library company that’s based right here in Bristol. It’s called Lucky G and is the brainchild of Dan Delor and Rob David (Bunkersonix) and Giles Luckes (one of the BBC’s go to editors). I’m very happy to announce that one of the tracks I have with them was used on the One Show, BBC1’s topical primetime show, and you can check it out here (it comes in at 01:23). Result! OK, so I’ve had a lot going on in my personal life this year.. a LOT. Some heavy duty stuff has happened, life-changing on many levels. With all this turmoil it seems that I’d forgotten to actually publish my previous posts, which were all sitting in my ‘drafts’ folder with their arms crossed. So for the last 3 posts, you get a nice little date at the top pertaining to when they were actually written. Thanks! Pitches, Pitches, Pitches… and a showreel for Off The Fence Productions! 14th May, 2014 : I’ve started composing for Ryan Pyle’s new production, Sacred Mountains, which will be a fascinating 4×1 hour series with the famed photographer and adventurer pushing himself to the limits by climbing 4 holy mountains in Asia : Minya Konka, Amnye Maquen, Kawa Karpo, and the illustrious Mount Kailash. It’s a breathtaking and exhilarating exploit and I’m having a lot of fun writing for it. I’ve already had two musicians in to record some live instruments, Stu Barker on ethnic wind and reed instruments and Patrycja Kujawska on the violin, and it is sounding HOT! Can’t wait for the finished results as right now it’s still in the early stages, but I am very excited to say the least. Thanks Ryan! 10th February, 2014 : Just a little entry to point out a few of my tracks have been used in the BBC4 series, Secrets of Bones! 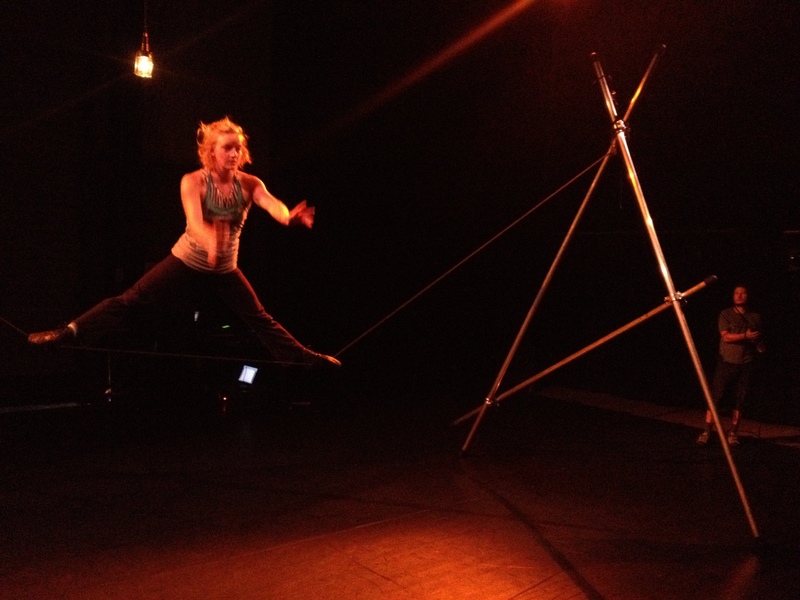 After spending a month working with the Apocalyptic Circus crew in Turin and performing the show at the Mirabilia Festival in Savigliano I returned to Bristol while the group went to France to carry on working on the piece. This culminated in a premiere of the show at the Oxford Playhouse last Friday (9th August) which garnered an outstanding review on the Stage Talk website which you can read in its entirety here. I’d just like to point out this particular line which focuses on my score : “With a stunning electronic soundtrack from Alex Stoloff, Broden becomes a doll-like figure whose seemingly effortless movements must be controlled by someone else.” Thanks very much, Stage Talk! India Ride – I’m on it! After the success of Middle Kingdom Ride (still being aired on the Travel Channel) the Pyle brothers decided that this wasn’t enough adventure for them. So they did the unfathomable.. they found a country that defied the chaos found in China… India. This is (so far) going to be a 6 part series, and I’m so stoked to be working on it. We’ve got the same crew with Jack Woon in the editing seat, Chad Ingraham as director of photography, Daniel Milton as production manager and cameraman and Jonathan Hogan on the graphic and web side of things. This series is going to ROCK! Check out an excerpt of music on the home page or here. Thanking you! The awesome Middle Kingdom Ride is finally getting aired worldwide on The Travel Channel! First show goes out on April 10th, check all the details here . I loved writing the music for this and am actually getting ready to start composing for the next installment of the Pyle brothers adventures, India Ride. I can’t wait! MKR (Middle Kingdom Ride) all done! The Wonderful 6 part series Middle Kingdom Ride is finally all done and dusted, and looks AMAZING! Broadcasters are currently involved in a bidding war to acquire the rights to it, but so far it looks as if The Travel Channel will be airing it in most territories. Splendid! Big shout out to Kyle Murdoch, Ryan and Colin Pyle, and the rest of the crew involved.. we made a good’un! Amersfoort has been lovely, but incredibly intense… full days, 11-12 hours of writing music, discussing, mixing, recording, rehearsing… I’ve never composed on site before and am so used to having meetings over the phone to discuss what is needed that to be here, with performers, seeing how the music affects the show and being able to discuss it and make changes immediately is amazingly awesome. I am LOVING it, and really hope to work with Tom, Linn, and Kajsa again. 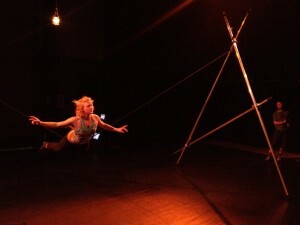 The show, Push Me Pull You, is all about the relationships between audience, performer, and technician. It’s a challenging but incredibly entertaining and rewarding show and, as I mentioned in a previous post, is the highlight of Amersfoort’s Spoffin Street Performance festival (now in its third year). Have a peek at Linn Broden’s site just to see what she does, it really is pretty incredible what this lovely lady can do. Tom Richmond is a consummate professional, having worked as a technician for the Old Vic for a few years, and Kajsa Bohlin is a performer with years of experience who met Linn when they both studied at Stockholm’s famed ‘University of Dance and Circus’. The show starts on Friday… I can’t wait to see how the audience reacts! You can check out an excerpt of the music I’m writing for the show on the home page. Still 1 from a Push Me Pull You rehearsal.